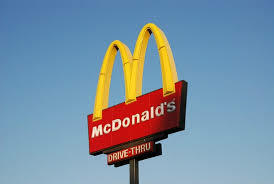 Plans to build a new McDonald’s in Greystones have been scrapped today and the fast food outlet will not be built on the proposed site beside three schools. Lidl, who own the site that had been earmarked for the controversial development, have said that they want to build a new ‘state of the art’ store on the site and new plans will not include a McDonald’s restaurant. In a statement to the three schools last night, a spokesperson for Lidl said : “We intend to actively engage with Wicklow County Council in the coming weeks to gain approval for a new state of the art Lidl store. Pending positive engagement with Wicklow County Council Lidl will submit plans for this development. It is understood that Lidl now intend to build a ‘state of the art’ store on the site which requires more land than they originality intended, so therfore there is no space available to build the new McDonald’s drive-thru restaurant. “Following on from the successful launch of a new Lidl concept store in Gorey, Co Wexford earlier in the year and having completed a feasibility study on the Greystones site, Lidl has decided to pursue an alternative development.” the statement concluded. The announcement comes after some locals had launched an active campaign to prevent the restaurant being build on the site. On Monday, the board of management of Temple Carrig secondary school which is located close to the site had been granted leave to a seek a judicial appeal to the plans.